Before buying a vibration machine be aware of how an AC motor can give less torque as the weight of the person increases. A DC motor can operate much more efficient with full load torques. 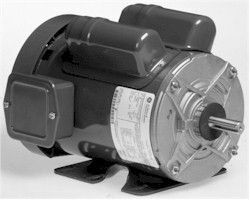 Cheap AC motors usually get hot after 10 minutes of usage with a heavier person even if it is 500 watts. A 500 watt DC motor, usually in clinics, can operate continuously as long as there is a little time for it to cool down between usages. Some are 500 watts with brush less motors and others have brushes which make them noisier. On Ac motors you usually don't have a high starting torque and this is why most AC motors, even 500 watt models, rarely go down to 5 hertz or below. Hitting the low hertz requires start-up higher torque and continuous duty horsepower without using momentum at higher speeds. Each extra frequency per second that the machine goes at usually means it has that much less start up torque. If a machine starts at 6 hertz it usually has more torque than a machine that starts at 7 hertz. A 5 hertz machine usually will have a very high torque. This is assuming it has an equivalent G force as the higher hertz. A higher wattage DC motor usually will have a longer motor life if it is brush-less and has ball bearings that are permanently lubricated. Having a heavier gauge steel enclosure also helps reduce friction which increases motor life too. Many people just look for 2 HP and can get mislead with quality of the motor. They just think because its 2 HP its good. There are many variables that go into a 2 HP motor that determines its power, starting torque, and motor life. 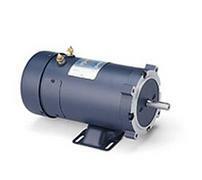 A 2 HP ac motor is usually smaller, more noisy and do not run as smooth. The torque produced by a 500 watt ac motor is not the same as a dc motor. 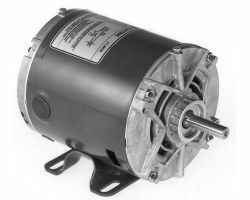 You can google motors and you will see that a 500 watt 2hp DC motor from just about all the motor manufacturers are much more expensive than 500 watt 2hp AC motors. DC motors require less electricity and much less coper windings to produce the same amount of power as an AC motor of equivalent power. A DC motor of the same wattage and hp and amperage will have much higher performance and durability than an AC motor. Although the same wattage AC motors are cheaper, many people think they are getting a better deal. Do your research and you will not get mislead. Unless you have done the research, it is hard to really understand motors. I had to hire many engineers from the phone book to really get a back ground so I know what I am talking about when comparing the different motors in these vibration machines. Just so you know, one horse power is equal to 746 watts... So how can they call a 2HP machine 2 horsepower if it only has 500 watts? Wouldn't that be about 3/4 HP, not even a single horsepower? A 1 horsepower motor, weather it has 746 watts or not, has to be able to able to produce 36 lbs-in at 1750 rpms. (Note that power is equal to torque multiplied by the speed). Horsepower is a measure of a motor's torque and speed capability. Because of gear reduction or engineering, the motor doesn't have to have the amount of wattage of true input 2 horse power to deliver 2 horse power. Watch our videos of different models with different wattages but HAVING THE SAME HORSE POWER. Watch what happens when a 250 pound person steps on the edge of a 500 watt, 1.5hp model, a 300 watt 1.5 hp model, and a 1.5hp model 250 watt model. Why buy a 2 hp when a 1.5 hp can do the same thing? Depending on the weight on the plate, a 1.5 hp model takes more energy to do the same job and has to work a little harder. The more powerful the motor, the more weight you can put on the tippy edge without lowering the G force you need.